Averaging a settlement every 4-5 days...it's the experience, dedication and education. Brenda Miller remains positioned ahead of market conditions. Buying and Selling is a very important life decision, so is hiring the right REALTOR. Make your first choice your best choice. Miller has a variety of inspectors, real estate attorneys at no or minimal costs (every Buyer and Seller should be represented by their own real estate attorney, not just the company’s signature title company or lender) plus lenders, insurance agencies who are not in an affiliate business relationship with me. Details when we talk...it does not cost more! Miller looks forward to earning your business. EXPERIENCE coupled with a real estate attorney will usually save you time and money. SETTLED MORE THAN $125 MILLION SINCE 2010...! Best at Selling: Brenda Miller, REALTOR® and Associate Broker w RE/MAX Cornerstone remains positioned ahead of current market conditions for many years. She earned several designations & working on more: ABR GRI CNE SRES PSA MRP SRS. Miller services all of Lebanon County and surrounding areas. Being an excelled & experienced negotiator is a must. Miller has been exceeding all record years since 1992. Miller is willing to work every angle and cover all corners, whether it is a million-dollar property or a first-time buyer or seller. Bank on her combination of exceptional service, devotion, dedication and experience. She welcomes the opportunity to earn your business. The market is trending and appears there are more Buyers than there are good listings. Buyers Searching For These Properties and Locations Now: Ranch homes not in 55+ communities; Two stories 1700 SF and up; farmette for horses or just privacy; Mountain land with or without a home; Over 2700 SF two stories on 1/2 acre plus; townhomes: any price any size; Spring Hill Acres; Iron Valley, Shadow Creek; Creekside; Country Club View; Alden Place; East Evergreen Estates; Fieldcrest; Valley View; Meadows at Southfield; Iron Ridge Plus all others in 17042...Are u thinking of SELLING or BUYING...? Please contact Brenda Miller. achieving our goals by helping others achieve theirs. Everybody wins. Since 1992, Brenda Miller has specialized full time in residential real estate & relocation for Buyers and Sellers. Record sales since 1992… In my experience as a Lebanon County real estate professional, I've been providing the very best service, essentially about putting my clients first. This "client first" philosophy has always been my approach and it requires me to continually improve my skills and ways of doing business. Consistently in top 5% Winners Circle of Lebanon County Association of Realtors since 2005 + honored in top 25 RE/MAX agents of PA DE Region since 2007. There are many qualities and skills that go into remaining a leading Lebanon County real estate professional - integrity, in-depth community and market knowledge, marketing savvy, effective negotiation skills and a high-quality professional network, all of which are hallmarks of how I work. (SRES) Seniors Real Estate Specialists® are qualified to address the needs of home buyers and sellers age 50+. (ABR) Accredited Buyer Representative is the benchmark of excellence in buyer representation. (PSA) Pricing Strategies: Mastering the CMA is specifically designed to help residential real estate agents and brokers enhance their skills in pricing properties and guiding clients through the complexities of valuation. (MRP) The Military Relocation Professional (MRP) certification is for real estate professionals who want to work with current and former military service members. (SRS) The Seller Representative Specialist (SRS) designation is the premier credential in seller representation. In 1999, I became a broker associate. I was licensed as a sales associate since 1992.
excel in many aspects of residential and investment real estate. Since 2013, Brenda Miller has averaged a settled sale every four to five days. Brenda Miller has been honored with achieving top 5% of Lebanon County Association of Realtors Winner Circle annually since 2005. Brenda Miller has been in top RE/MAX Top 25 Agents in PA-DE Region several times since 2007 and in 2012, 2013 & 2014 and many times in 2015. Whether Buying or Selling or both, why compromise for less than one of the best? even those listed by other agencies. Consistently in top 5% Winners Circle of Lebanon County Association of Realtors..
2005, 2006, 2007, 2008, 2009, 2010, 2011, 2012, 2013, 2014 and 2015. That will be more than TEN YEARS at a consistent pace! Please contact Brenda Miller for sold results you will love also! staying positioned ahead of current market conditions. 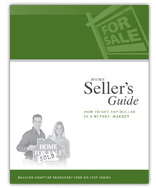 If you need to sell in order to buy, that is one of my specialties. directly from MLS on my web site. See tabs at top of page and search all listings. any of the properties in this search,even those listed with other companies. experienced representation, when buying or selling your home. Why compromise for anyone less than one of the best? If you are thinking about selling and would like a no obligation appointment with Brenda Miller to determine the value of your property, please call me to schedule. If you are thinking about buying, please call me withyour parameters of location, style of home, bedroom, bath and garage requirements plus lot size. I will send you all active listingsand keep you informed of new listings, most times same day the property is listed. You will have everything at your fingertips,address, photos, seller disclosure and all other pertinent information provided by MLS. If you need to sell in order to buy, that is my specialty. Why compromise for less than one of the best? Newcomers/Relocation packets will be mailed to those by request. please contact Brenda Miller to obtain a Newcomers/Relocation packet. 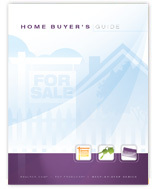 buy or sell a home more effectively in the Lebanon County areas. listings with detailed descriptions and photos. that may be of interest to you! Be sure to include specific locations and other important features. Licensed and full time since 1992. Relocation Specialist whether moving here or moving away! Referrals are are always welcome...! Why compromise? Be represented by one of the BEST!